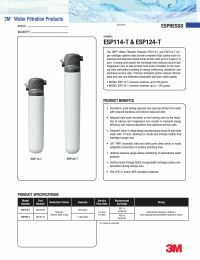 The 3M PS124 Espresso Filtration Replacement Cartridge provides great tasting water for espressos and reduces hardness, chlorine taste, and odor. 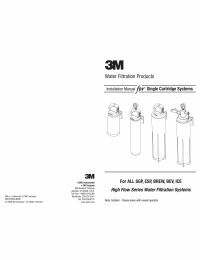 The cartridge body is constructed from high-impact polypropylene, and is sanitary in design, requiring no contact with the filter media during change-out. Decreased hard scale formation on the heating coils, which is caused by the reduction of calcium and magnesium ions, results in improved energy efficiency, reduced downtime, and expensive service calls. Cartridge body constructed from high-impact polypropylene. The PS124 Replacement Cartridge formerly labeled as Aqua-Pure PS124.